Rock concerts and Disney World are not mutually exclusive. 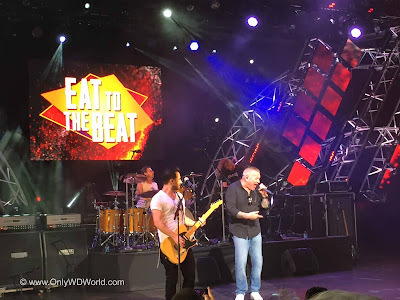 As part of the Eat To The Beat Concert Series at Epcot during the Epcot International Food & Wine Festival real Rock Concerts are now part of the regular entertainment. The Grammy nominated band from San Jose, California performed at Epcot as part of the Eat To The Beat Concert Series on October 5-7. 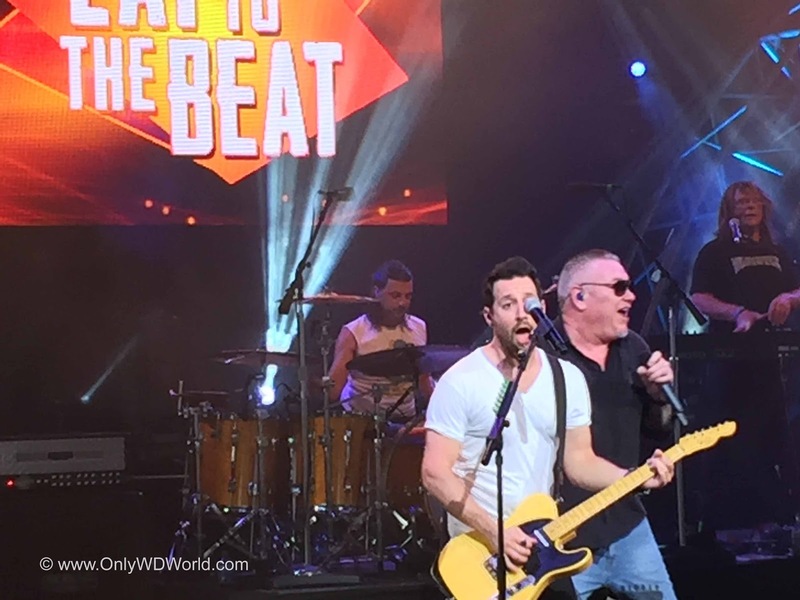 The band that is best known for the hits "All-Star" and "Walking on the Sun" also thrilled the Disney crowds with their Shrek anthem "I'm a believer." Lead singer Steve Harwell and co-founder Paul DeLisle head a group that rocked the Epcot crowd . The high energy band is a departure from the typical Disney soundtrack music and really got a positive response from the Epcot Food & Wine Festival crowd. 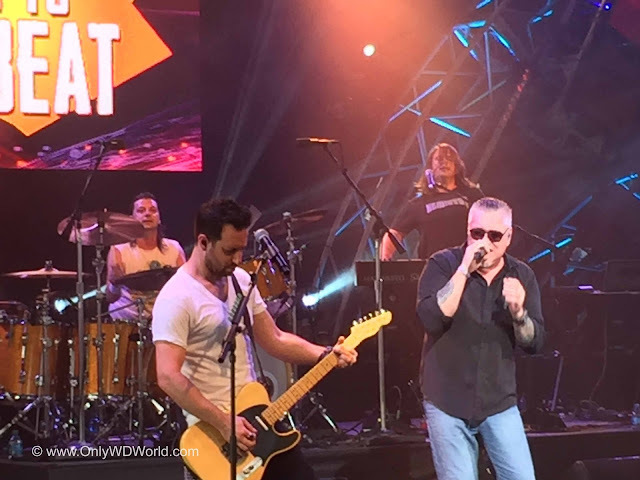 Their style of play encourages the crowd to participate and to sing along to the band's memorable hits. Epcot and the Food & Wine Festival has got a winner with this series of free concerts featuring name bands and acts singing their radio popular hits in concentrated 1/2 hour sets in the open aired America Gardens Theatre. The venue sounds great and allows Epcot fan of all ages to hear musical acts that may be favorites of theirs from years part or the chance to hear them for the first time. 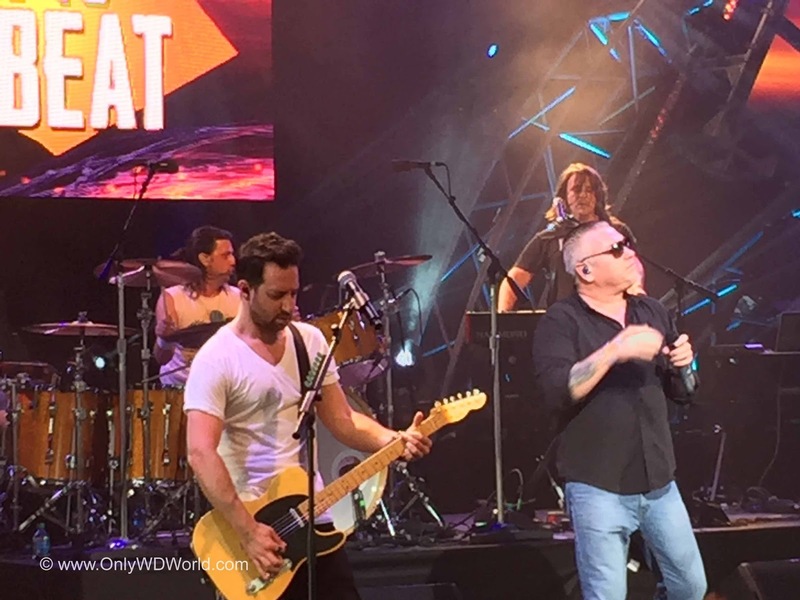 Either way you get a chance to hear formerly popular musical acts that still cost $50+ to hear them perform in a local venue around the country. 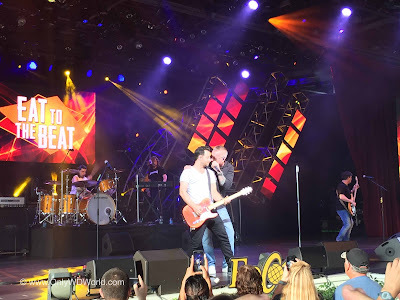 The free Epcot concert during the Epcot International Food & Wine Festival certainly rank among the Disney World Hidden Secrets of special values at the you can enjoy at Disney World without buying a special ticket or paying extra for. 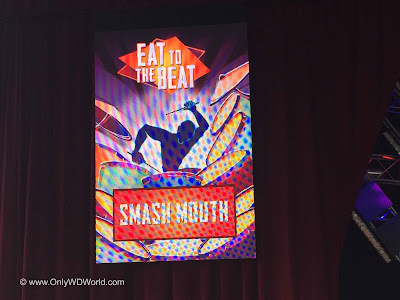 0 comments to "Smash Mouth - Epcot Eat To The Beat Concert review"